Discussion in 'Accessories' started by Milko, Nov 23, 2014. I'm going somewhere cold soon, I've not used the E-M1 in such conditions, yet (-10, -20C). However I've used a Canon dslr, and I was swapping around 3 batteries per day, not cool. (photos are self explanatory, I don't speak Polish either), but instead plug it in an external battery pack in my backpack? Perhaps using a neoprene insulated coiled cable for convenience? Anyone tried something similar? What battery packs would be potential options? What are the potential dangers of damaging the camera, it can't be as simple as matching the oem battery specs to the external pack. 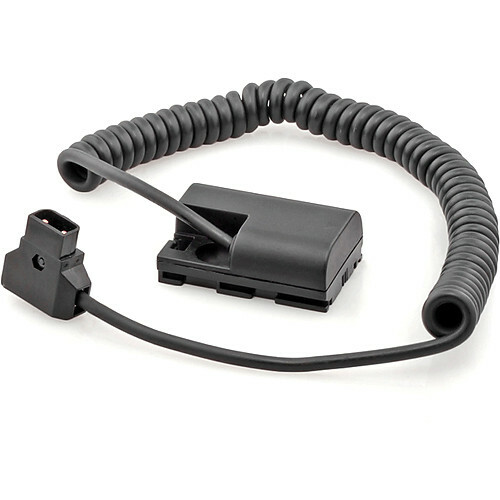 The Olympus HDL-7 is an add-on grip that can also hold two batteries. It may not be cheap, but it maintains the water resistance of the camera and won't void your warranty. The only electrical requirement of a battery pack is that it matches the nominal voltage of the OEM battery. The idea in that page that is in Polish is to couple a dummy battery (destroying the weather sealing of the battery compartment) to an AC to DC adapter to power the camera in a studio. This keeps the battery from dying in the middle of a shoot. A studio is not outdoors or -20º C and doesn't have condensation issues. I've looked into this and the dummy battery option is feasible, including modifying the door (a spare one) to ensure that it's weather sealed. This would enable a much larger battery pack to be used, possibly a RC LiPo battery. The only thing that has prevented me from trying, is not being 100% certain about the actual wiring sequence. I have an eBay battery that I've pulled apart and while the wiring appears straight forward, I'm still hesitant about doing the mod. I've considered something like this for scuba requirements, though seeing as I have not got my housing yet, I'm not sure where I will have spce, so untilt hen... I look forward to seeing where this thread goes. - The top connection is a COM terminal that links the two batteries together, likely in series to create a ~7.2V battery. It doesn't appear as it the connection on the circuit board goes anywhere and the strip may simply be used to support the circuit board. - The bottom has two strips connect to the circuit board, one to B+ and one to B-, obviously to the battery +/- terminals. I think it would be safe to just use the B+/B- terminals to connect wires that go to an external battery of the appropriate voltage and the system should work. I've pondered RC LiPo batteries, as they come in voltages close enough to possibly work and have their own charging system. The RC batteries have plenty of juice and would keep a camera running for a long time for such things as time-lapse. The site listed in the OP's first post (Polish one), has the battery pin outs. One could, on their own with a volt meter in 15 seconds, figure out which terminals are +/-. There is no need to know what's inside the battery package. You might consider getting the HLD7 and then using the AC adapter port on there as a power inlet. This way you wouldn't have to chop on the camera or grip, you might just need to cut up one of their AC adapters. b_rubenstein, good point about the weather sealing! Thanks for the photo, OzRay, it doesn't hurt knowing what's inside the battery. Zee, I think it's going to take me some time, but now after Tom's hint it looks like it's just a matter of choosing a battery. is this going to fit the grip socket Ex-Pro PS-AC1? I think your suggestion is the cleanest way of doing it. The original AC‑3 AC Adapter has a stabiliser, I wouldn't need that would I? Okay now the tricky part - the battery. The RC LiPo's are quite affordable, and I poked the internet after OzRay mentioned them, looks like it works for DSLRs. they come with charger and battery life indicator built in. The power packs are actually the easy part. What you need to do, I think, is disassemble a battery for the control circuit and terminals, and wire in the external battery. This is also, on the face of it, quite easy as the circuit board is separate to the battery and sits in a slot in the battery case. So, theoretically, all you need to do is disconnect the battery from the circuit board, keep the battery case, add wires from there to the external battery, route them from the case to the external battery and, if you want, get a spare battery door to route and seal the battery compartment. If you're not using the external battery in inclement weather, you can just leave the battery door open. I see what you mean, I would definitely look into that, don't want to fry the camera. no additional stabilisers/regulators, it's just a AC-DC brick, with 9v output, 3000mAh, or is it not? I suspect the control circuit is just so that the camera reads how much battery life remains. Some of the cheapest non-brand replacements on Amazon say No-Chip on them. and state that the camera is able to read the battery status and you can also charge them with the Oly charger. But again, I'm not a battery expert in any way, so I'm not sure and I'll definitely look into that. Thanks for the warning! You can get heat-shrink tube insulation in short quantities. I think the best method has to be using the hdl7 and finding a dc charger that outputs correctly and using an off the shelf battery pack with dc output. The Olympus ac-3 specs state 9v 3300mah as the dc output specs. I'm guessing it should be 9volt 3.3a. I'm also waiting for the 12v coiled cable and the AC adaptor to chop. check if everything is compatible and double check the battery internals. I'll let you know how it goes when all the bits arrive. I've looked at a few battery controller chips, just to unnerstand them as a retired design engineer. While I have not seen the BLN1 details, these designs need to monitor and balance the voltage on both cells when charging and sometimes in use. You have to stack two external cells in series and bring in all three wires. WIthout the middle connection, the battery chip doesn't know what's happening and might well shut down the outputs or maybe its overcurrent protection is no longer there.. Easier to do whatever the Polish link suggest, wjhich is to bring in 8 volts to the + and - pins in the camera, The middle pin, by the way, does not need a connection. I suspect it monitors a thermister in the battery to get the battery temperature.Then you still need to worry about short circuits (add a fuse), and be able to charge the external battery safely, Also it has to be stable and not fall apart in the field. When I got my first Sony Handycam around 1990, I carved a dummy battery out of wood, added terninals to it and ran power to a portable lead acid battery, Wow, that was heavy, . That's why I'm reluctant to try this out. Check this out: http://www.amazon.co.uk/power-cable-M-Audio-optional-adaptor/dp/B00GC164M4 - you'd be able to use any of those portable USB power pack and there are hundreds of those out there (need to check the current this can deliver). What would be ideal is to get someone to reverse engineer the AC-1 / AC-3 connector and get a source of those. That really is the only problem I think. The rest is getting a rechargeable battery pack or even a 6xAA box (there are even rugged ones out there). Owczi, there's no way to get 3.3amps out of most USB ports. hypermac makes a battery that has dc out and I'm sure there are other options. Look for video camera batteries maybe even the alien bees battery pack.